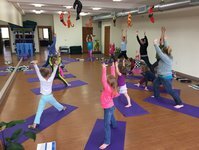 Spring into Lakeside is an annual tradition and everyone in the family is invited to spend the day on Saturday, May 19th from 10:00 am - 5:00 pm and enjoy shopping, music and a variety of activities for kids like Kids Yoga at Blue Horizons Wellness. 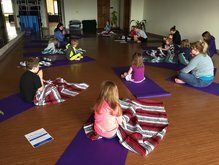 Free Kids Yoga at Blue Horizons Wellness at 12:30 pm !! !